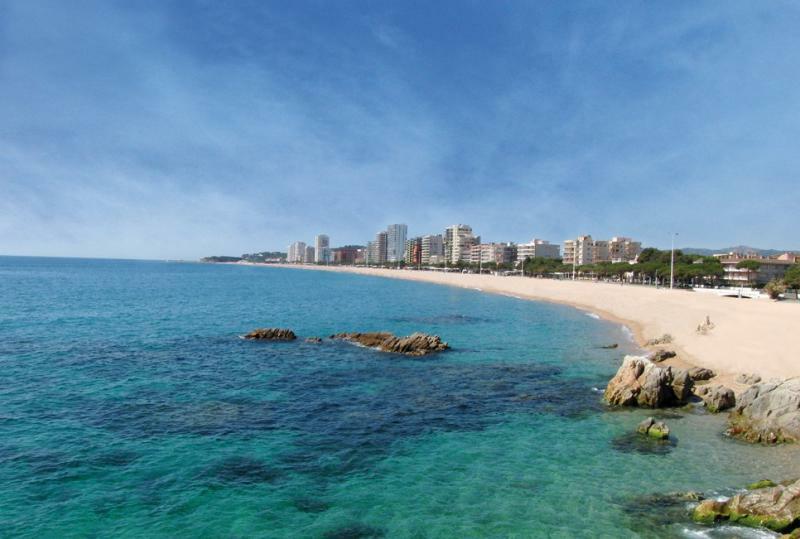 Platja d’Aro (1), the principal centre of the municipality of Castell-Platja d’Aro, has been one of the most celebrated tourist locations of the Costa Brava since the boom of the 1960s (2). A commercial and leisure centre by day and night, each year numerous hotels and campsites host thousands of tourists from all over the world (3). S’Agaró, Castell d’Aro and Fenals, adjacent to Platja d’Aro, present one with postcard images starring beaches, coves and unique settings. The immense beach of golden sands, symbol of Platja d’Aro, along with the adjacent small coves and beaches (Cala del Pi, Cala dels Canyers or Cala Rovira) allow one to go for a dip and enjoy nature. It has been awarded the Q Emblem for Touristic Quality. In addition, places like S’Agaró harbour buildings of architectural interest. By day, during both summer and winter, the streets of Platja d’Aro are the stage for shops of both the big brands and local establishments. When the sun goes down the great offer of entertainment with lounge bars, nightclubs and restaurants unfolds before the visitor who wishes to enjoy the night. A vast array of mediterranean and international restaurants allows the visitor to choose the option they fancy most. The gastronomic campaign Flaire de Vi (every June), in which the establishments of Platja d’Aro offer proposals for sampling (tapas, tastings, menus), with wine as the unifying thread, stands out.